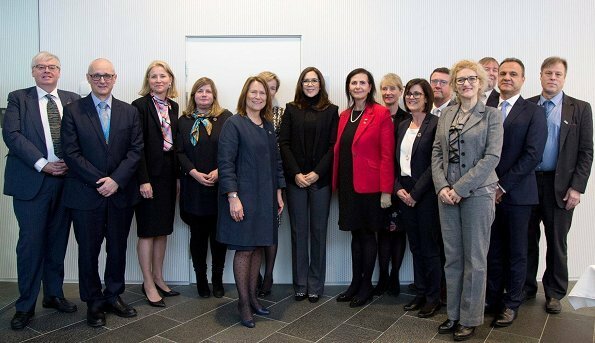 Yesterday, on January 29, 2018, Crown Princess Mary met with Australia's Minister for International Development and the Pacific, Senator the Hon Concetta Fierravanti-Wells and accompanying delegation who are making a visit to Copenhagen. 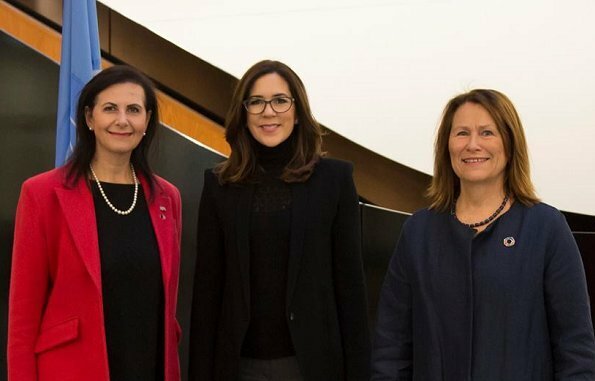 Crown Princess Mary attended a series of meetings held at UN City of Copenhagen. Nice outfit. Looks very professional. It would be nice to see her with some color. Crown Princess Mary looks very professional. Mary looks good wearing glasses. Princess Mary of Denmark looks very professional.